Another week…another crushing defeat. I sat at the stadium shaking my head and trying to understand the FANS. Not the JETS. The FANS. What are JET fans thinking about when they call for Matt Simms? They obviously have no clue as to what John Idzik and the JET management are trying to accomplish this 2013 season. Every team wants to get to the playoffs every year. It’s been shown that teams can get hot at the right moment and run the proverbial table but they need to be in the big dance. One only has to look at the GIANTS of the last few seasons. Maybe that’s not the JET plan in 2013. Maybe they are trying to see if Mr. Smith can really be the QB of the future. Maybe they want to see the defensive rookies play. Could be they want to find out if Brian Winters is the dude at guard or is he another Slaussen? And who says that Matt Simms can even play in the NFL? He had a couple of good outing against second and third stringers during the summer. Not much of a resume. They don’t want to get to th eplayoffs. What!??!?! The JETS don’t want to get to the playoffs? That’s what I said. Maybe this year the plan is to find out who the real players are. It is my humble opinion that that is exactly what they are doing this year. Get to the playoffs? Maybe. 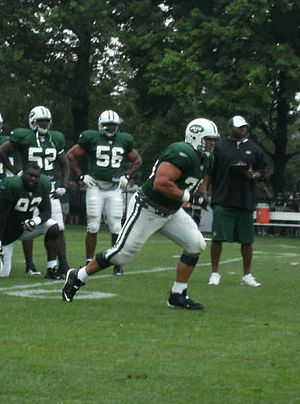 Find out about some of these players heading into Idzik’s second year? Definitely. No team in the NFL can win in this era without a high level of Quarterback play. It’s nearly impossible. If a team has an awesome dominating defense you can get very very close. But you’re not going to win a Super Bowl without that special QB and an array of superior offensive talent. That’s pretty obvious to anyone who follows the game. At this point in the 2013 season the JETS have neither and it would be silly in my estimation to try and do things based on a playoff run that will end very quickly. I think they need to let Geno crash and burn, if that’s what happens, and let the chips fall where they may. They don’t have a massive investment in this kid and we all know what next year’s draft looks like at the QB position. There are several “Andrew Lucks” coming out. It’s been called possibly the greatest QB influx the league has ever seen. Let Smith play. If he continues to flop as miserably as he has done so far this season, I’d be fine with the JETS drafting a can’t miss individual and cutting ties with Smith. Idzik is doing his best to get this team back on a good roll. His offseason this year will make or break his regime. The JETS desperately need to resolve the QB situation. They need a major upgrade in talent on the offensive line and the offensive skill positions. Anyone say kick returner? Where are you Joe McKnight? The JETS need a classic draft where several outstanding players make the squad. And they need to dip into the free agent market if the right guys are not available thru the draft. The JETS will have plenty of cap space after they say goodbye to Santonio Holmes, Mark Sanchez and a few others that are not in the future plan. So relax JET fans. Maybe this season is turning out the way it should. Let’s see who can play and let’s see who can’t. Let’s dump some salary and let’s do some good drafting / trading / free agent signing. This team is really all about 2014. With a core of young hungry players the JETS are not as far away from contention as their 5-7 record might show. Now is the time to plan for the future by bringing in the talent to compliment what is already there. John Idzik knows that…Woody Johnson knows that…and Rex Ryan damn well knows that too. This entry was posted in NFL Football, NY Jets, Sports and tagged Jets, John Idzik, Mark Sanchez, Matt Simms, Quarterback, Rex Ryan, Santonio Holmes, Woody Johnson. Bookmark the permalink.